World of Warplanes — 5 years in the Sky! On November 12, the game turns 5. Let's celebrate this occasion with bonuses, discounts, and exciting missions! Complete the missions to get a festive emblem and the XP-36F fighter as a reward. Get airborne! This statement needs to be corrected. Because that version of WoWP game died in 2016. If anything this needs to be called WoWP light, as in a light beer, for classification. This is not the same product when it was started in 2013. You can not say they are the same type of game. Edited by FlakValleyExpress, 08 November 2018 - 05:32 PM. 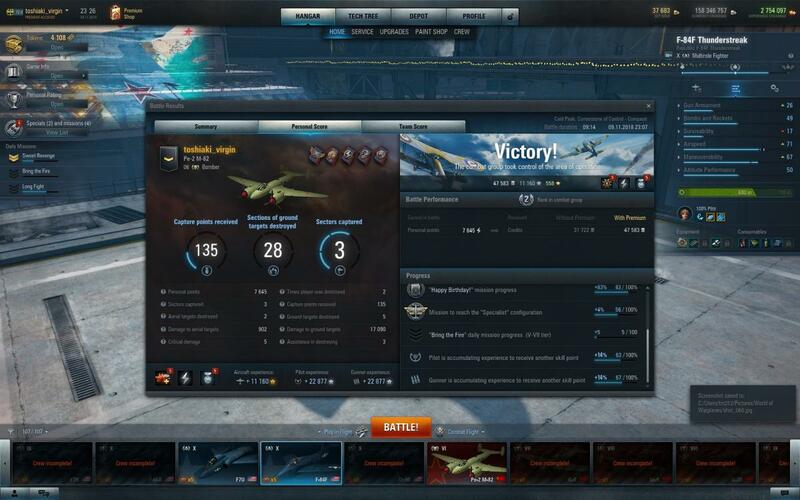 Now I barely play anymore and every day I wish I could play 1.9 again and actually hunt, evade, and play the map instead of clusters of ground targets defended by gray planes, with actual enemies added to the mix. I barely play anymore. I try to like the new game but it never does it for me. Seriously does anyone who played before 2.0 think the game is better now? "In the Game of Planes, you carry or you lose. There is no middle ground". 5 years in the Sky! Some would argue this game has not taken off yet! can not complete the missions... "happy birthday! ", "hunt for XP-36F", "celebration mission". seems my issue was solved, i don't know the cause etc. Edited by toshiaki_virgin, 09 November 2018 - 02:25 PM. We are investigating the cause of the problems at the moment, apologies for the inconvenience! But when will it fixed? when it's fixed will you tell us ? How ? Edited by LuckyOwl, 09 November 2018 - 02:45 PM. But when will if fixed? when it's fixed will you tell us ? How ? after 1 battle, credits will decrease, free XP will not increase. okay... I leave until the server reboot tomorrow. It seems that not only the birthday bug is prominent, but no credit for specialist kills and ive lost 250k credits. granted thats not alot for some of you veterans but to a new comer like me it is a pretty serious bite in progression. 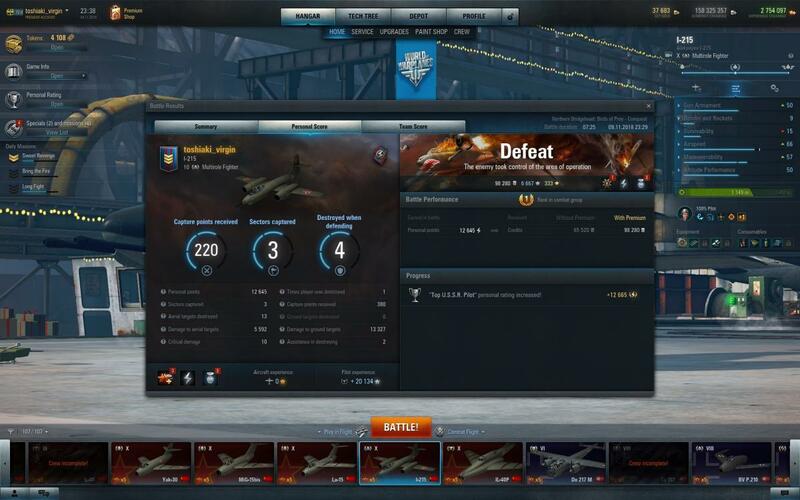 finished the 5 bomber kills for the tier 7 jap heavy with nothing to show for it. seriously disapointed in the time wasted for nothing. Please mind that we are having some issues with Birthday missions which may affect other progressions, thank you for your patience. Edited by LuckyOwl, 09 November 2018 - 03:08 PM. Do we get extra time to finish the Birthday missions since it's BROKEN right now?